This week premium subscribers received two issues, and twelve more articles than free subscribers. They also participated in our secret Facebook group, and saved 20% on our Tesla & SpaceX themed apparel. To find out if premium is right for you click here. At Wednesday's investor's meeting, Elon Musk confirmed that the Gigafactory is now producing battery cells for its powerwalls & powerpacks. I hoped there would be an update on the Model 3, but Elon is saving that for the next presentation which will be held sometime this quarter. If your'e a SpaceX fan, you will be happy to know that next week's issue should be full of details about the upcoming Falcon 9 launch! Thank-you for being part of this newsletter, and have an excellent Friday! 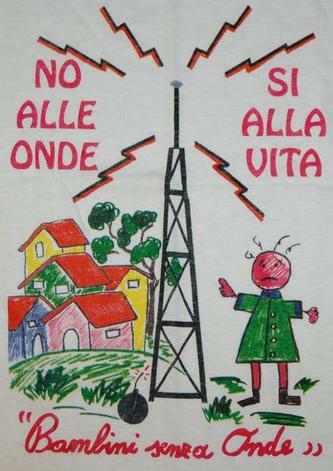 "In the form of our email, computers, phones, applications, we are effectively superhuman. But we are currently bandwidth constrained in that interface between the cortex and that tertiary digital form of yourself, and helping solve that bandwidth constraint would be very important for the future." 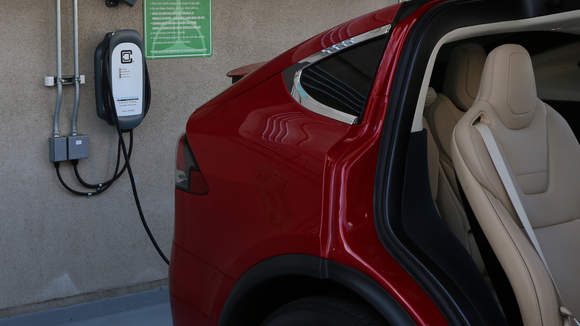 After deciding to buy a Tesla, often the next decision is to purchase a Level 2 charging station for faster charging at home. Safety might not be the first consideration when selecting a charging station, but safety is actually the most important thing to consider. "The President-elect has a strong emphasis on US manufacturing and so do we. We are building the biggest factory in the world right here, creating US jobs… I think we may see some surprising things from the next administration. We don't think they will be negative on fossil fuels… but they may also be positive on renewables." NASA has booked more astronaut flights to the International Space Station aboard private space taxis built by Boeing and SpaceX. The new orders, which NASA announced Tuesday (Jan. 3), awards four crew rotation flights to the International Space Station (ISS) each to Boeing and SpaceX as part of the space agency's Commercial Crew Program. The award increases the total number of flights ordered from each contractor to six, NASA officials wrote in the announcement. "Awarding these missions now will provide greater stability for the future space station crew rotation schedule, as well as reduce schedule and financial uncertainty for our providers," Phil McAlister, director of NASA's Commercial Spaceflight Development Division, said in a statement. "The ability to turn on missions as needed to meet the needs of the space station program is an important aspect of the Commercial Crew Program." SpaceX's upcoming Falcon 9 launch has been postponed by one day to Monday, Jan 9. Mariners and pilots near the site of the launch were given early preparation notices for Sunday, Jan. 8 at 10:28 a.m., informing them of areas to avoid during the launch, however an updated notice sent by officials at Vandenberg adjusted the date to a day later. The Gigafactory has been activated. Today its first battery cells are rolling off production lines to power the company's energy storage products and, before long, the Model 3. More than 2,900 people are already working at the 4.9 million square-foot facility, and more than 4,000 jobs (including temporary construction work) will be added this year through the partnership between Tesla and Panasonic. Wednesday marks the third successful target Tesla met for the New Year. The company fulfilled its promise to rapidly complete a massive battery storage project to back up the grid in California; it rolled out promised software upgrades to cars equipped with new Autopilot hardware; and now it's begun battery cell production at the Gigafactory. Tesla delivered 76,230 vehicles in 2016, falling slightly short of its goal of delivering 80,000 cars for the year. The electric carmaker claimed that "short-term production challenges" starting at the end of October were to blame for the shipment of fewer vehicles than anticipated. Tesla said the transition to new Autopilot hardware resulted in the company's vehicle production being "weighted more heavily towards the end of the quarter than we had originally planned." In total, about 2,750 Tesla vehicles missed being counted as deliveries in the fourth quarter of 2016, which the company ascribes to "last-minute delays in transport or because the customer was unable to physically take delivery." Tesla has started updating a select number of cars with an enhanced version of its autopilot software, CEO Elon Musk confirmed on Saturday. The update, which is targeted at cars running on the advanced Hardware 2 platform, sets the stage for the company's grand plan to enable full self-driving capabilities by the end of 2017. The update adds a number of enhancements to the autopilot mode, a limited form of autonomous driving that's intended for cruising down highways and similar situations. Autosteer, forward collision warnings, and traffic aware cruise control are now enabled for Tesla vehicles running on Hardware 2, a new system of cameras and computers unveiled in October that is intended to work with full autonomy through a future software update. 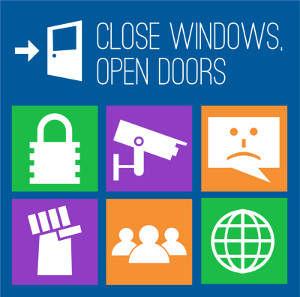 "These features operate on a new hardware and software platform. Therefore, their rollout will be measured and cautious until we have generated confidence across several hundred million miles of real-world usage. Enhanced Autopilot will become better over time as this experience is gained and corner cases are addressed. In the meantime, it is particularly important that you remain vigilant and in control when using driver assistance features." Tesla owners that received the latest over-the-air Autopilot 2.0 software update are reporting that their vehicles have been able to detect stop signs. The ability to obey traffic signals and stop indicators were first demonstrated by the company when it released a video showing a Tesla Model X driving completely on its own through the streets of Silicon Valley. Part of those capabilities are and now being detected in the first iteration of Enhanced Autopilot. Though Tesla plans to demonstrate a fully autonomous cross country drive from Los Angeles to New York by the end of this year, the company will begin with a slow incremental roll out of Autopilot features and continue over time as engineers work on improving Autopilot's self-driving algorithms through data collected in Shadow Mode. "These features operate on a new hardware and software platform. Therefore, their rollout will be measured and cautious until we have generated confidence across several hundred million miles of real-world usage." indicates Tesla through release notes for Enhanced Autopilot. France is setting out to entice Tesla Motors Inc., boasting the country's anti-pollution stance and incentives for consumers to go electric. France's Economy Minister Michel Sapin is due to meet Tesla's Vice President for business development Diarmuid O'Connell Friday at the company's production site in Fremont, California, to argue that if Tesla is going to expand, it should do so in France, a ministry spokeswoman said. In the European race to court Elon Musk's $36.5-billion company, France risks falling behind. In November last year Tesla bought German firm Grohmann Engineering, and announced plans to hire 1,000 new staff. Tesla already has a satellite office in Amsterdam and an assembly plant in Tilburg in the Netherlands. Tesla hasn't laid out specific international expansion plans. A spokeswoman declined to comment on Sapin's visit. The car-maker said in its third-quarter update letter on Oct. 26 that it will continue expanding production capacity at its Fremont facility while "exploring additional production capacity in Asia and Europe." At the investor's event at the Gigafactory on Wednesday, Elon Musk officially confirmed that Tesla plans to bring more than battery pack manufacturing to the plant. During the event, Musk also hinted at upcoming announcements about the Model 3. According to Morgan Stanley analyst Adam Jonas, who was present at the event, Musk refused to answer questions about the Model 3, but he did hint at new announcements when pressed about Tesla's upcoming all-electric sedan: "Let's keep our Model 3 powder dry on announcements", he said according to Jonas. "Part of our culture is that we don't sell," says McNeill. As Elon Musk has said, if you produce a truly revolutionary product, the marketing will take care of itself. And yes, the marketing has done well so far on autopilot (so to speak). In 2015, the legacy automakers spent an average of $1,000 per vehicle on advertising. Tesla spent about $6. As McNeill describes it, his job is "to take all of the market-facing things off of Elon's plate so that he can engineer and design." However, Tesla's limited marketing emphasis might shift as the company grows from a niche automaker into a high-volume manufacturer, but the corporate culture of "selling without selling" is unlikely to change much. Hyperloop One announced Tuesday that it will run a full test within the next three months at Apex in North Las Vegas. "Bear in mind, the Wright brothers' plane went for 120 feet (the first time it flew under its own power)," said Nick Earle, the company's senior vice president of global field operations. The test within the next three months will cover 500 linear meters, Earle said. "It will levitate, catch the right speed and slow down," he said. "Then what we'll do, is over the next few months extend that into a few kilometers," he said. 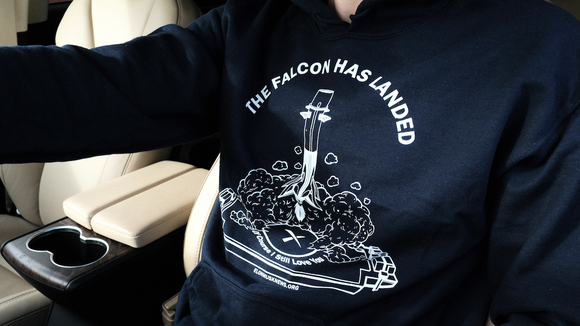 Get ready for a year of Falcon 9 barge landings with our limited edition tee or hoodie. I also just added American Apparel pullover hoodies, so if you want more of a slim fit I recommend checking them out. Check out the Falcon 9 design or view the whole collection.